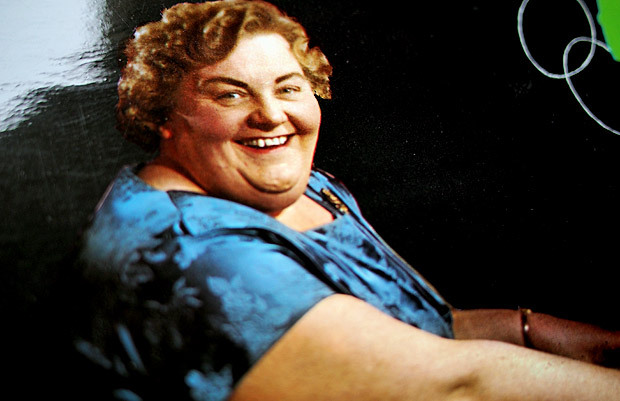 Cruelly written out of just about any pop history retrospective you'll see on television, Mrs Mills is virtually the forgotten woman of the music charts. 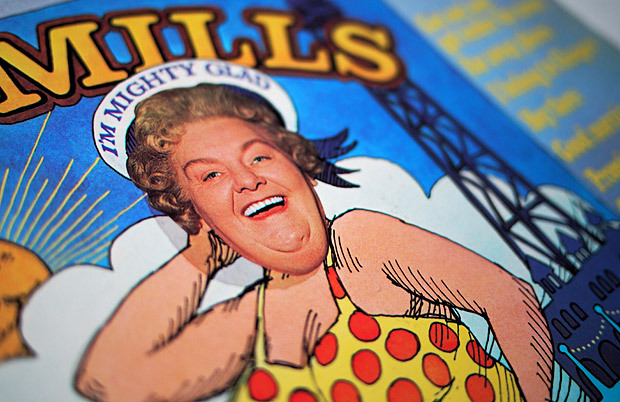 Yet Mrs Mills was a pop legend in the 1960s, notching up a succession of hits and winning over crowds with her vivacious, fun loving personality and singalong tunes. Her music harks back to a day when it was all about the audience rather than the 'star,' with Mrs Mills banging out the big tunes of the day, with her onstage persona about as far away as you could get from the desperate 'LOOK AT ME!' wannabe popstars of today. We hope that by playing her tunes we might recreate some of the magic of a beer-spillin', Cinzano-clinkin', audience-singin' big Mrs Mills night out. Scroll down for a short bio of Mrs Mills and a couple of video clips. We'll be adding some of our own recordings and clips soon. Mrs Mills was discovered while working as the superintendent of the typing pool in the Paymaster General's office in London in the early 60s. Her catchy piano style and jolly, happy-go-lucky personality won over a talent scout who saw her performing at a Woodford Golf Club dance near her Essex home in Loughton in December 1961. After signing a management contract to Eric Easton (who later managed The Dave Clark Five and The Rolling Stones), Mrs Mills was snapped up by the Beatles' record label Parlophone. The song reached number 18 in the charts and was the first piano medley to bother the Top 20 since Russ Conway's Christmas ivory-tinkler in 1959. Over the following 15 years, Mrs Mills banged out nearly 40 albums (all recorded at Abbey Road Studios), with four charting in the U.K. between 1964 and 1971, all during the Christmas period. Mrs Mills didn't take herself too seriously, a fact evidenced by some of her bonkers album sleeves, which showed her in all sorts of strange outfits and locations. One had her riding a miniature rocking horse and another saw her feeding fruit to an elephant on a hillside. The most successful album of all was, 'Come to My Party', which peaked at number 17 in 1964. Mrs Mills was all about fun, having a laugh and letting everyone join in. Her music harked back to music halls, communal singalongs, the wartime spirit and evenings by a roaring fire in smoky, boozy pubs. 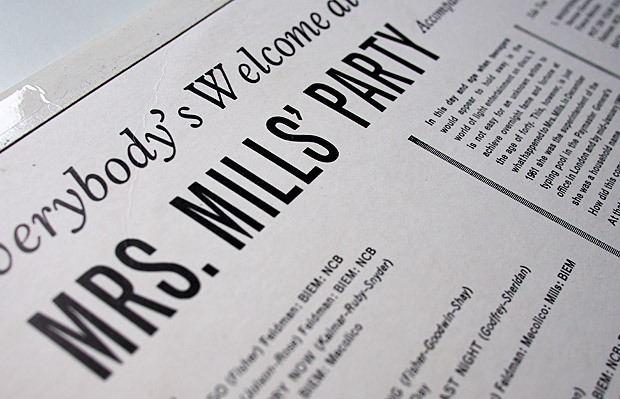 Mrs Mills died on February 24, 1978. RIP Gladys.